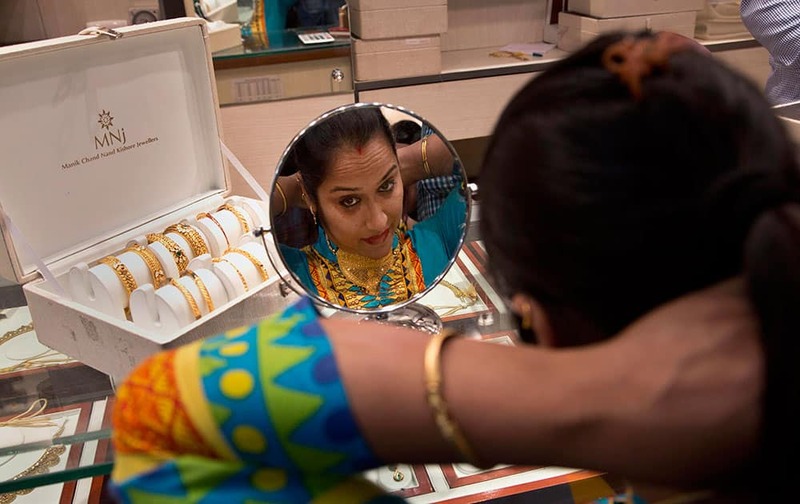 A woman tries a necklace as she shops during Dhanteras festival in Guwahati. 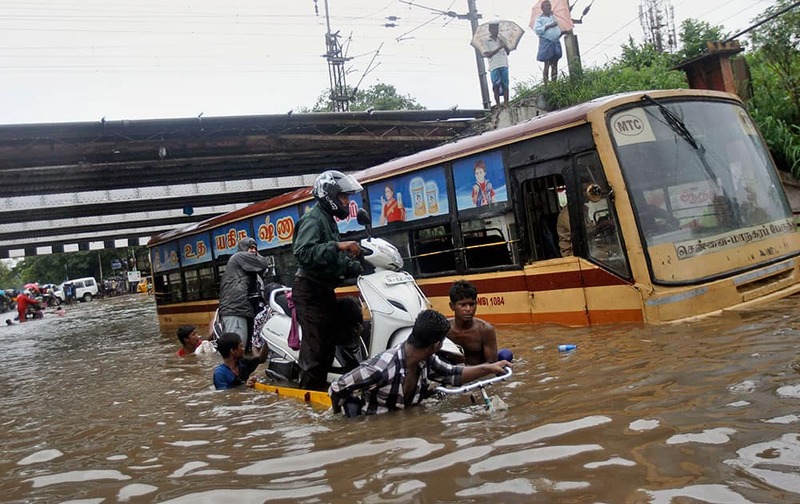 People help a man carry his two-wheeler on a cycle cart as they wade through a waterlogged subway in Chennai. 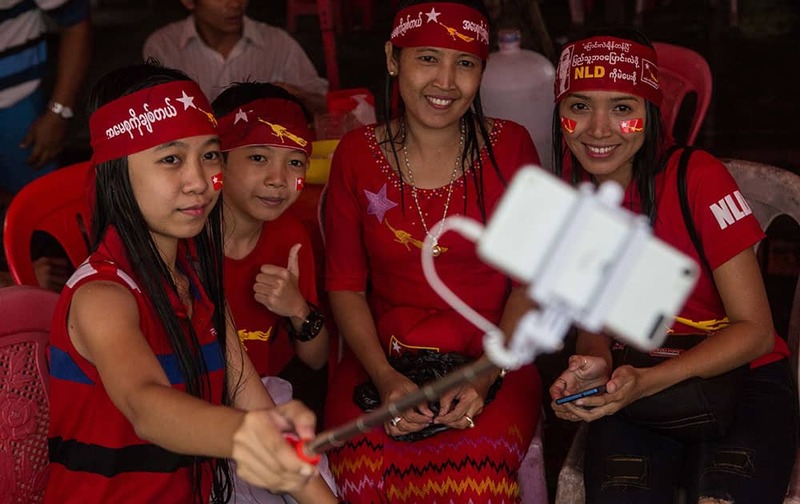 A group of opposition supporters take a selfie as hundreds of people gather outside the opposition party headquarters despite rain in Yangon, Myanmar. 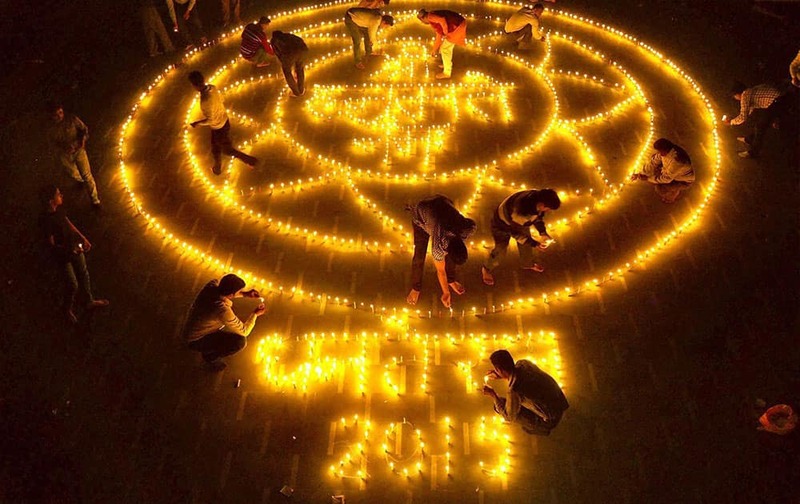 People light earthen Lamps in an artistic style on the occasion of Dhanteras ahead of Diwali festival in Moradabad. Kathakali dance with the incorporation of the Spanish Fusion Draupadi dance near Taj Mahal. 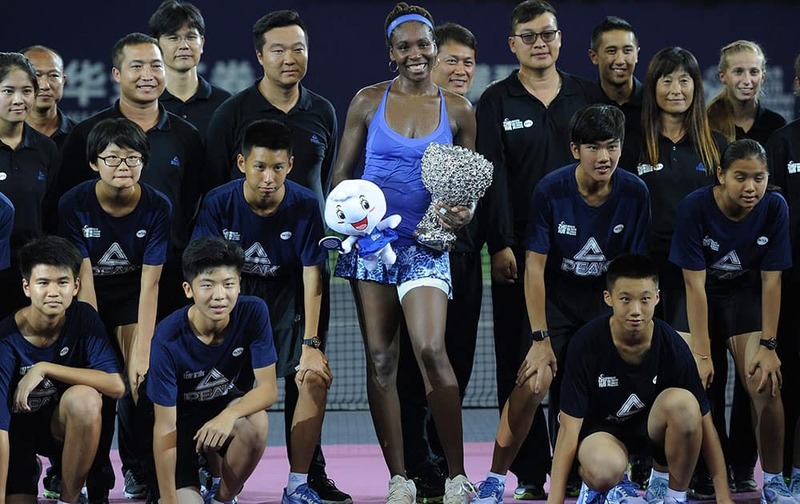 Winners Venus Williams of the United States poses with ball boys and girls after the award ceremony for the 2015 WTA Elite Trophy tennis tournament in Zhuhai in southern Chinas Guangdong province. Twin Saba and Farah celebrate celebrate the Mahagathbandhans (Grand Alliance) victory in Bihar assembly elections at the party office in Patna. 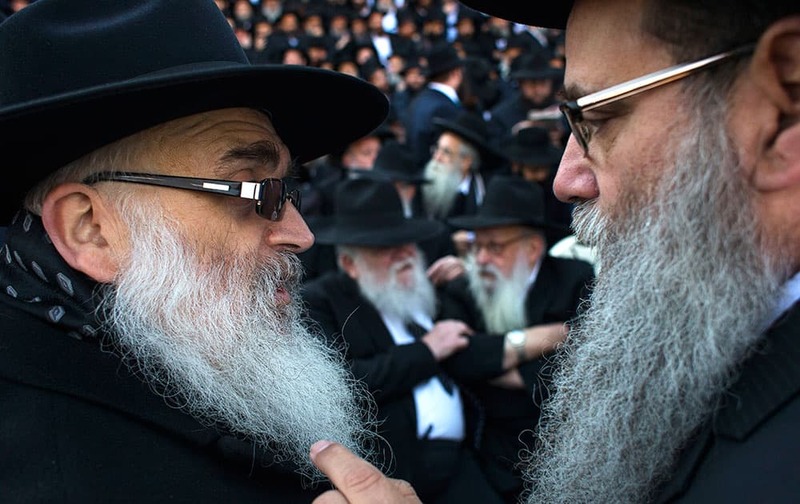 Lubavitch rabbis talk to each other as thousands of them, from 86 countries, gather together for a group photo near Chabad-Lubavitch headquarters in the Brooklyn borough of New York. 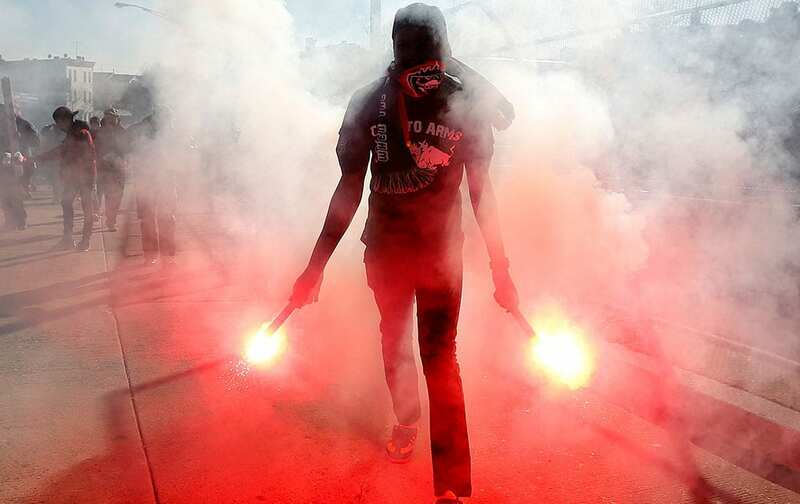 New York Red Bulls supporters rally outside Red Bull Arena prior to an MLS playoff soccer match between the Red Bulls and the D.C. United, in Harrison, N.J.